No one can escape a sense of awe when reflecting on the workings of the mind: we see, we hear, we feel, we are aware of the world around us. But what is the mind? What do we mean when we say we are "aware" of something? What is this peculiar state in our heads, at once utterly familiar and bewilderingly mysterious, that we call awareness or consciousness? 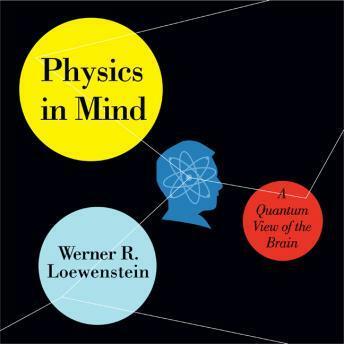 In Physics in Mind, eminent biophysicist Werner R. Loewenstein argues that to answer these questions, we must first understand the physical mechanisms that underlie the workings of the mind. And so begins an exhilarating journey along the sensory data stream of the brain, which shows how our most complex organ processes the vast amounts of information coming in through our senses to create a coherent, meaningful picture of the world. Bringing information theory to bear on recent advances in the neurosciences, Loewenstein reveals a web of immense computational power inside the brain. He introduces the revolutionary idea that quantum mechanics could be fundamental to how our minds almost instantaneously deal with staggering amounts of information, as in the case of the information streaming through our eyes. Combining cutting-edge research in neuroscience and physics, Loewenstein presents an ambitious hypothesis about the parallel processing of sensory information that is the heart, hub, and pivot of the cognitive brain. Wide-ranging and brimming with insight, Physics in Mind breaks new ground in our understanding of how the mind works.